CONSTRUCTION COMPLETE: DREAM HOME UNDER APPRAISED VALUE!! WHY BUY AN OLD HOME WHEN YOU CAN BUY NEW? 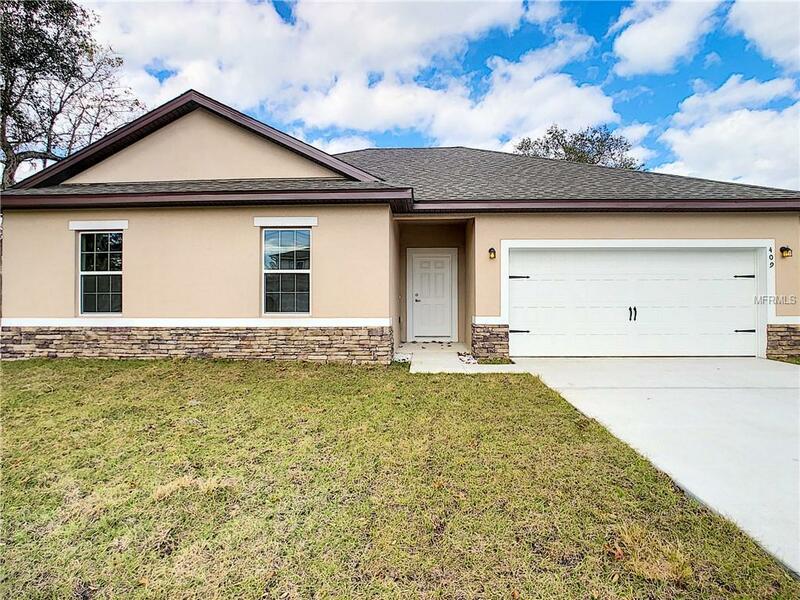 HOME FEATURES 3 BEDROOMS AND 2 FULL BATHS, OPEN FLOOR PLAN WITH CERAMIC TILE IN THE ENTIRE HOUSE, BRAND NEW STAINLESS STEEL APPLIANCES, GRANITE COUNTER TOPS IN KITCHEN AND ALL BATHROOMS WITH BEAUTIFUL WOOD CABINETS, COVERED LANAI AND MUCH MORE. THE HOUSE FEATURES ONE OF THE BIGGEST KITCHENS IN THE AREA. Additional Lease Restrictions Buyer To Verify With Hoa. Amenities Additional Fees Association Modern State Of The Art Recreational Facilities Fitness Center And Pool Available For Use For A Nominal Fee.